Relive the heydays of your youth and have all the young kids on the block green with envy with the Adult Big Size Wheel. 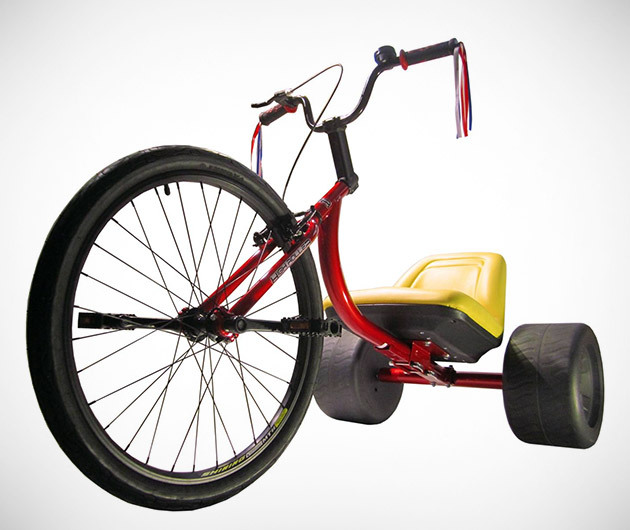 It sports a stylish candy apple red metallic heavy duty steel frame and fork and molded 14-inch plastic wheels that have been engineered for maximum grunt. The 26-inch front wheel boasts an aluminum alloy rim with rubber tire for optimum traction and high-performance coasting, while the padded seat will ensure you don't feel your age when you get off.